“We compete like everybody else and work just as hard,” said Special Olympics World Games athlete Vincent Baur-Richter. 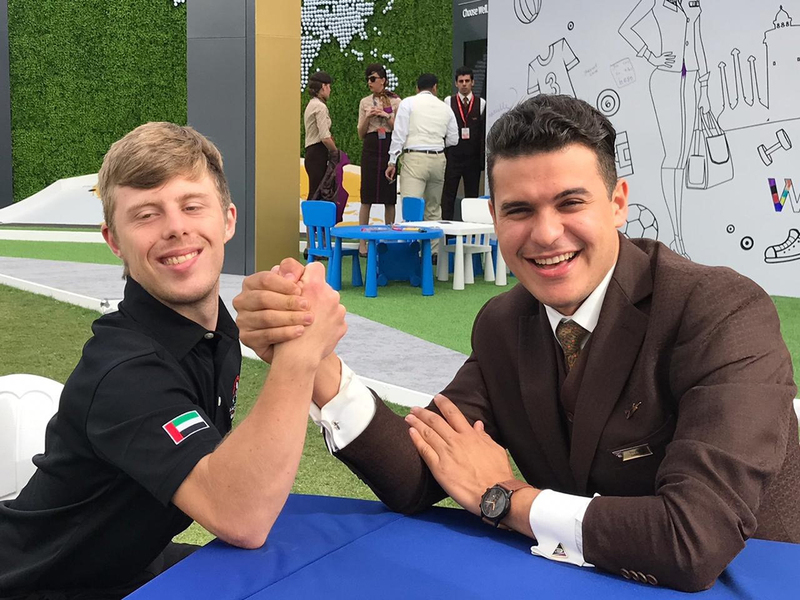 Vincent, who has down-syndrome, is competing in level 2 of the Special Games and will be competing alongside a unified partner. They both will take alternative shots and the team with the minimum number of shots will take top honours. According to his coach Mathew Parker, Vincent – a top athlete of his division - is well on his way of clinching a medal tomorrow (March 20). “I am 99 per cent sure he is likely to take home at least a silver,” Parker told Gulf News. The sport is being played across four days and results are expected to be announced tomorrow (March 20). 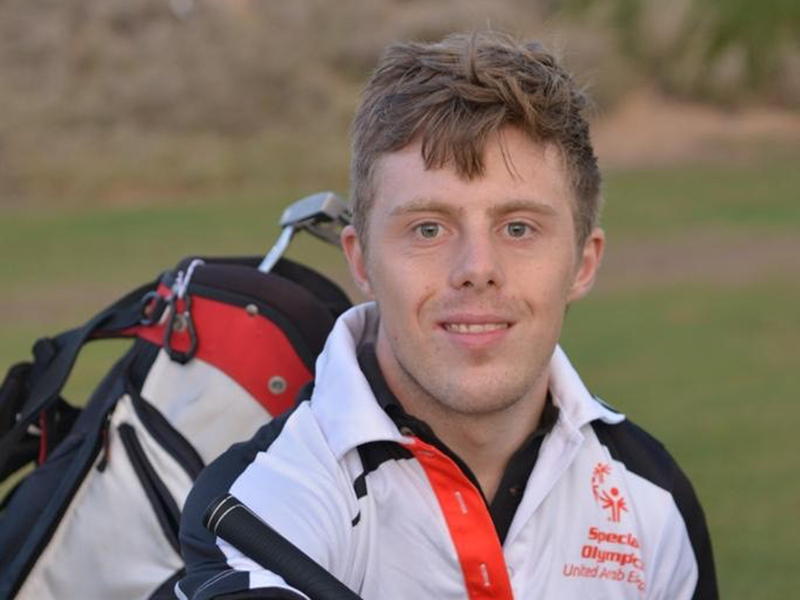 His mother Renate who is closely involved at the Special Olympics World Games 2019 herself as program manager at SEDRA Foundation - which is involved in empowering people with determination through vocational training - said Vincent has been a passionate golfer since he was 14. “When he turned 18, my father encouraged him to take the mandatory golf license in Germany which allowed him to play on the course independently. 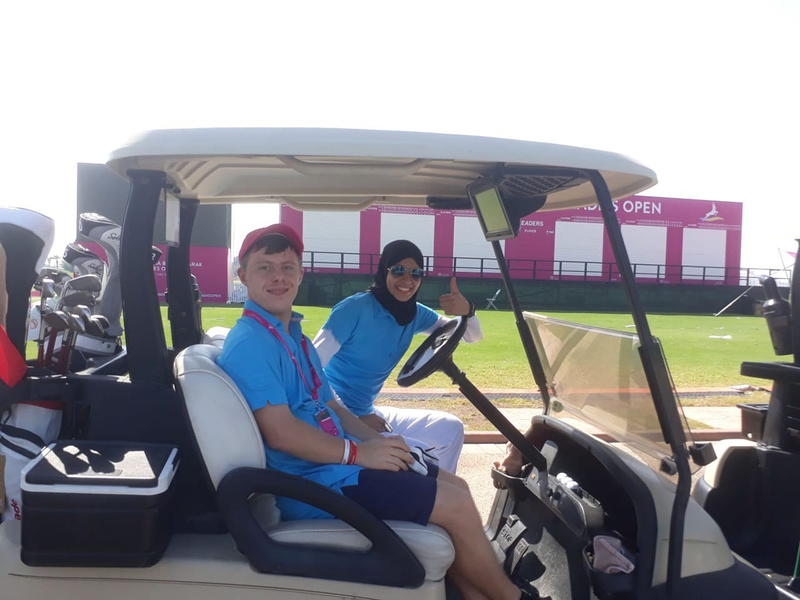 Vincent is the only Special Olympics UAE athlete for golf”, she said. The proud mother added there is a lot to his personality besides his drive and passion for the game. “Vincent is one of the most structured people I have met in my life. He is aware of his abilities and disabilities. He works his way around his disabilities just so he can have a competitive edge over others which is incredible”, she gushed with pride. She added that Vincent always has a plan in place and maintains a calendar just to manage his time. He travels on his own, and in fact on his first trip to Abu Dhabi he travelled on his own. Renate said she took the conscious decision to give him various opportunities and he had used them in the best possible manner. Vincent has had opportunities in the UAE which he would not have got back home in Germany, the family said. He learnt professional English, learnt to navigate around a work place. As a mother of a down-syndrome child, Renate said she has always wanted to be part of a community of people of determination. 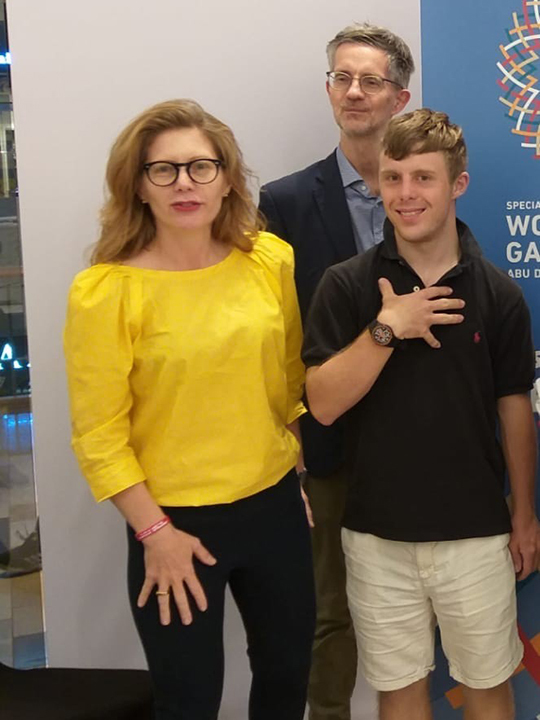 As the programme manager of SEDRA Foundation Renate helped 300 people of determination this year to take part as volunteers for the Special Olympic World Games. “At the foundation, we saw people with intellectual disabilities and worked along with them to improve their skills. We had monthly training sessions and every session was an hour long. They did a lot of role playing and learnt how to guide visitors and communicate with them. We worked also in solving more complex situations and put them through several interactive sessions”, she said.